We love Paperless Post and Evite email invitations! Visit all three and find your favorite style. What makes a great Oscar party? 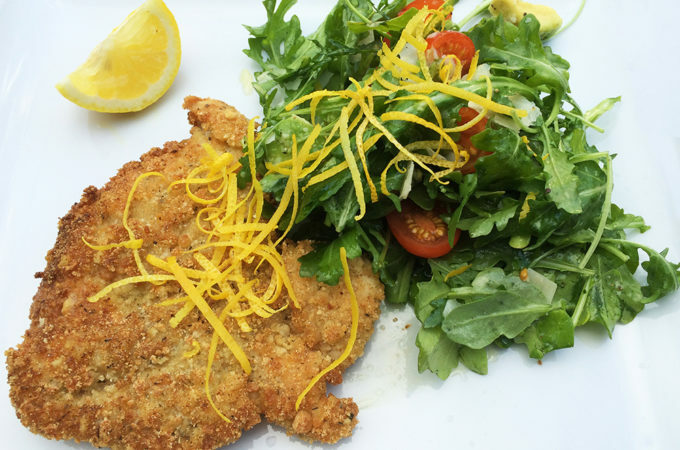 We think it’s all in the planning; present a fabulous dinner, some surprises and be creative. 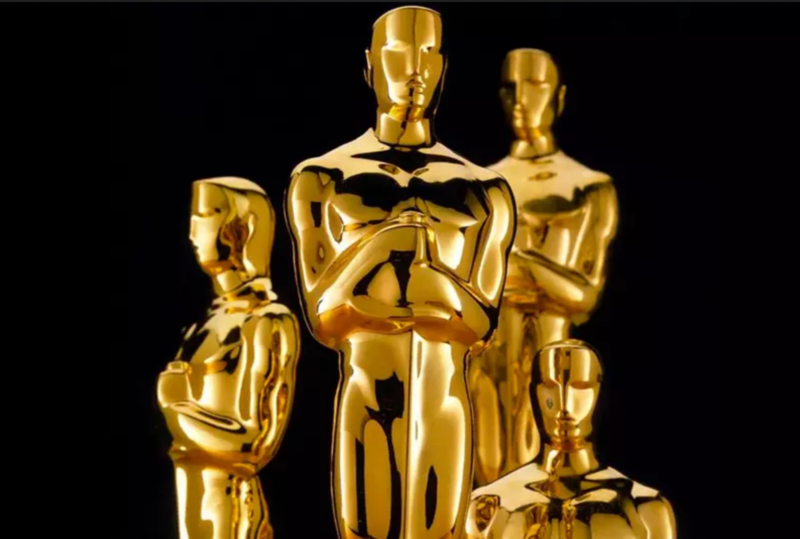 With this year’s 91rst Academy Awards quickly approaching we thought we would share our Oscar party ideas to give you some inspiration. We’ve hosted many, and one of the most memorable was the party at our home on Kauai, “Lotus Ridge.” Due to the warm climate, we decided to keep the party casual. Even though our ten guests arrived in shorts and flip flops, (aka slippers) we made sure to greet them red carpet style. 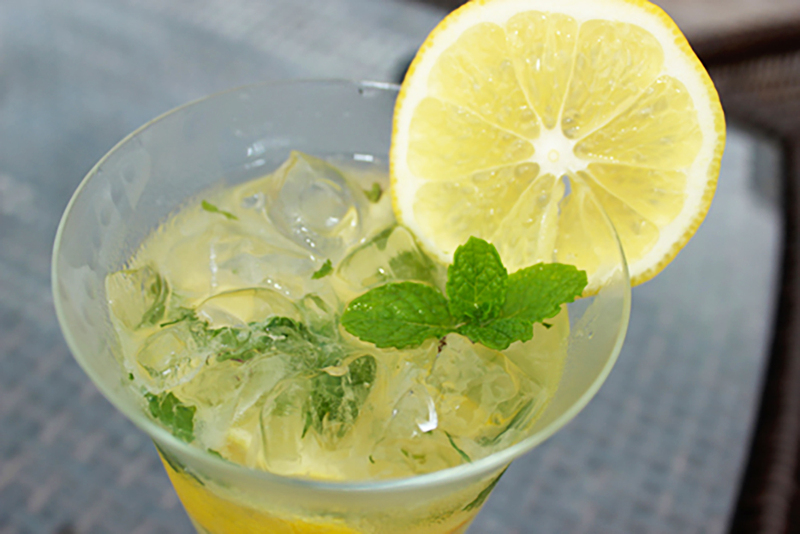 Every great party starts with a signature cocktail, so we decided to serve Meyer Lemon Mojito’s using Meyer lemons from our tree. During cocktails, we served a very light appetizer, of Tuna Tartare Poke. 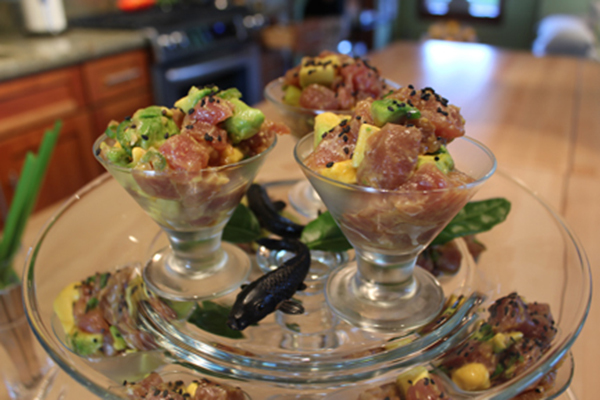 We served the Tuna in mini-martini glasses and created a tower using glass tiered serving plates. We placed two glasses near the tower, one with mini-forks and one with chopsticks. Miniature metal fish and kaffir lime leaves adorned the platters. These were a great hit and an excellent way to start the evening.. Get The Recipe. 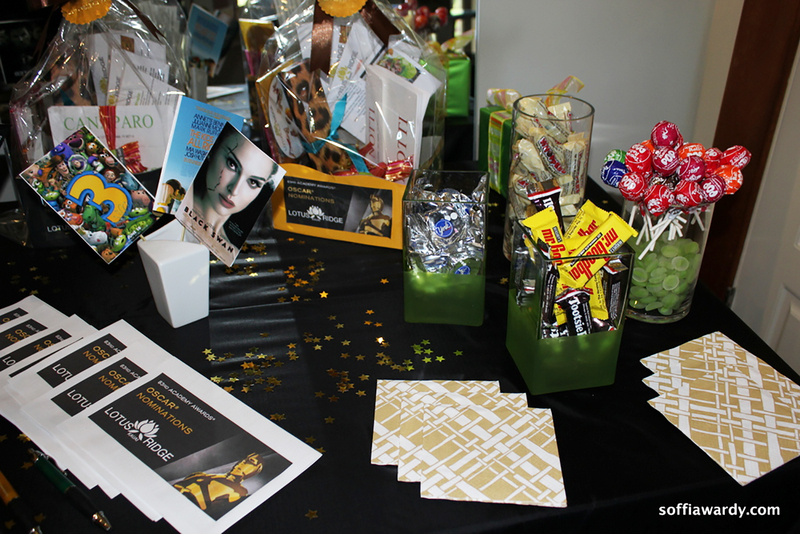 To get everyone in the mood, we decorated the table with mini movie posters, printed on 3″ x 5″ photo paper. We taped two different mini-posters back-to-back onto wood sticks so that different movies would show from either side of the table. 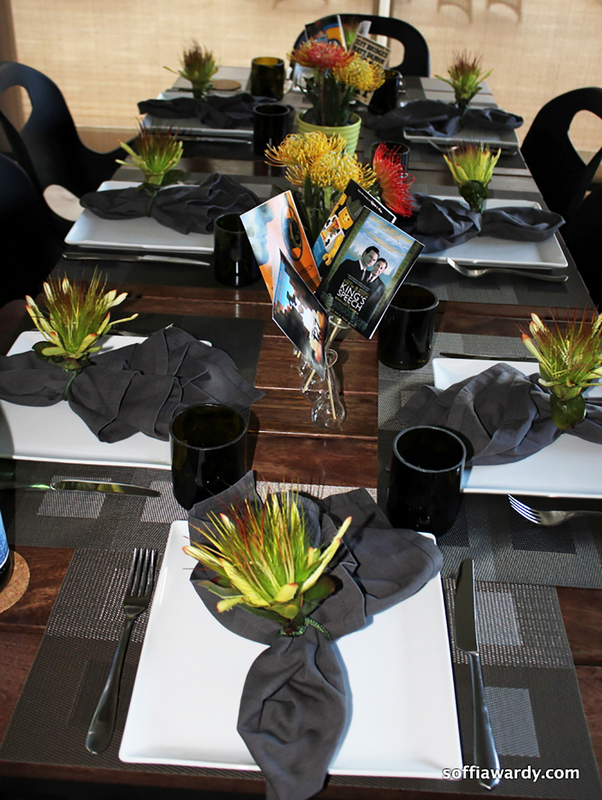 We placed several sticks into small flower vases to create arrangements and alternated the mini-movie displays with flower arrangements down the center of the table. We enclosed place cards in red envelopes at each place, so that guest’s had to open them to see if they were the winner of that seat. 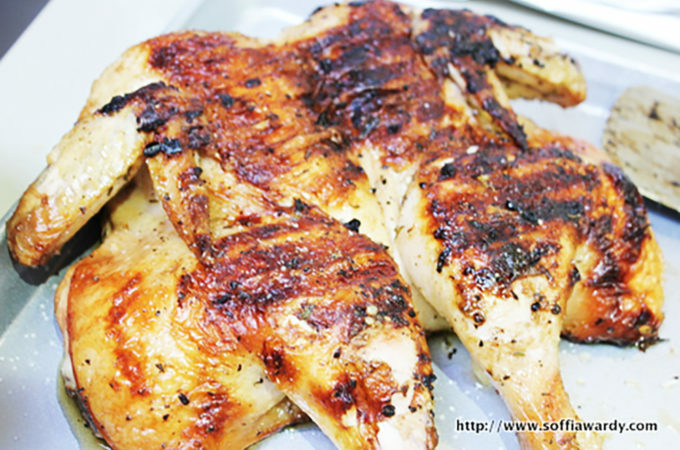 We wanted a delicious, easy dinner that would allow our guest’s and us to enjoy the evening without having to spend time in the kitchen during “Red Carpet” arrivals. We thought it would be fun to have an interactive dinner so; we decided on Slow Roasted Pork Wraps with Thai Rice with Lemongrass, Basil & Mint. The meal requires a fair amount of advance prep, but very little at dinner time. We created a bar filled with fresh and delicious veggie’s and condiments and allowed everyone to assemble their wraps. Dinner was a big hit, and most people went back for seconds and thirds. 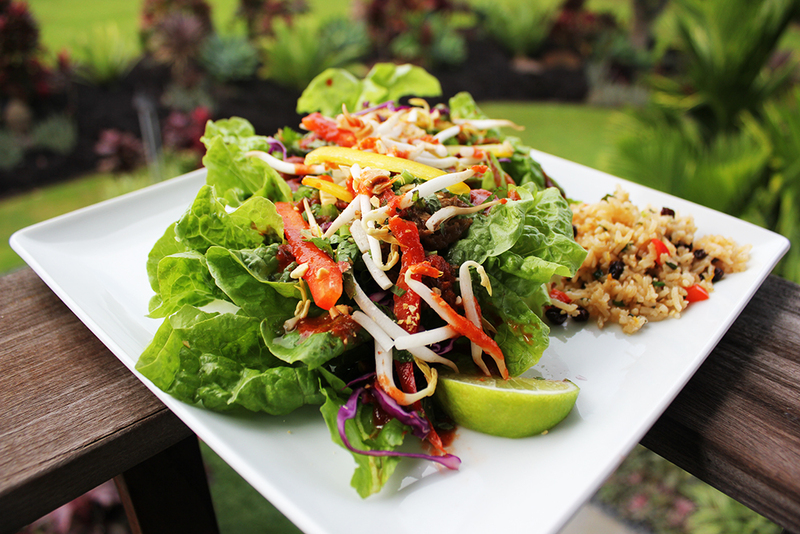 The wraps and rice are delicious, healthy and full of flavor but not heavy. After dinner we went to the media room, where we had a table containing additional cocktails, bottles of flat and sparkling water, a popcorn machine, movie candy and of course ballots and swag. 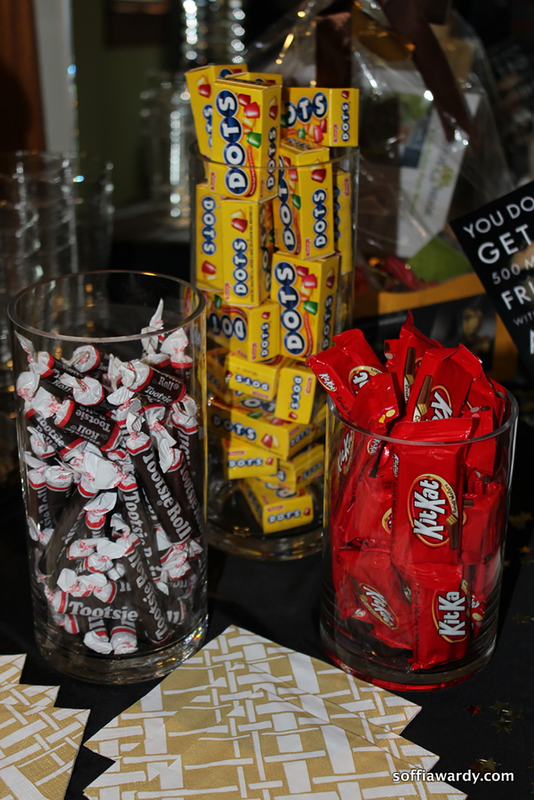 We used glass cylinders in different heights to create a Willy Wonka array of candies in mini sizes. 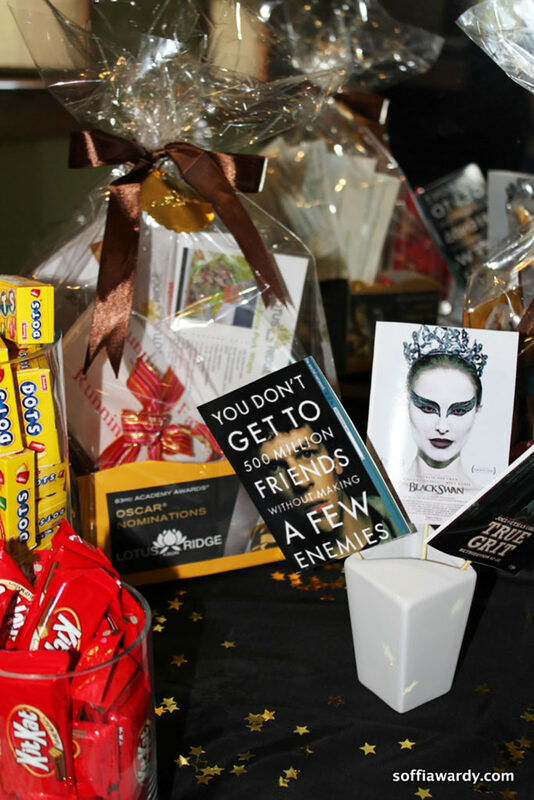 Each guest received an Oscar Swag Basket, containing laminated recipe cards of the evening’s menu, custom made stationary, a brightly colored rubber watch from Amen Wardy of course, homemade flavored lemon, parsley salt, homemade caramels, Lotus Ridge pens and caps and CD’s containing our favorite party tunes. Then we tuned into watch the speeches, the gowns and the gaffs. Don’t forget to have game prizes on hand. Ready. Set. Party! Liven up your Oscar Night® with a friendly competition, we had each guest fill out an Oscar ballot before the ceremony began. Click on the image for a printable version.